The International Committee of the Red Cross (ICRC) says it turned down a Boko Haram request to pay a ransom for 24-year-old midwife Hauwa Liman before she was murdered by her abductors on Tuesday, October 15, 2018. 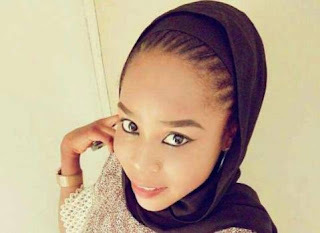 Liman and her colleagues--Alice Loksha and Saifura Hussaini Ahmed Khorsa—were abducted by a splinter Boko Haram group, Islamic State in West Africa (ISWA), on March 1, 2018, at a military base in Rann, Borno State. Khorsa was executed by their captors in September. All three women were health workers tending to the humanitarian needs of displaced persons fleeing the insurgency in a restive Northeast region of Nigeria. 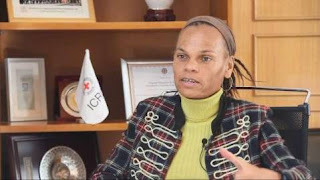 Patricia Danzi who is ICRC Regional Director for Africa, told Reuters that her organisation decided not to pay a ransom for Liman when Boko Haram requested for one, because doing so would have set a dangerous precedence for the 16,000 aid workers it deploys worldwide. "We are a humanitarian organisation so we cannot enter into such kinds of negotiations. So we always ask for unconditional release. And that's what we did. That was the plea," Danzi said. The Geneva based ICRC had issued a public appeal to Liman’s captors, asking that her life be spared after a threat was received. Liman’s father, Mohammed Liman, told Reuters that his daughter wanted to serve humanity, which was why she opted for a remote area like Rann. "At the time she was going, I said you should go and treat the people over there, and just after 10 days she was abducted. It is now seven months and 16 days only to be told that yesterday she was executed by the insurgents," he said. The ICRC helps 80,000 mainly displaced people in the northeastern town of Rann. The president also urged the ICRC to keep working in Nigeria while promising that the government would do all it can to protect its staff and other aid workers providing humanitarian services in the northeast. Responding, Danzi said the ICRC was not about to suspend its operations in northern Nigeria or withdraw its services from the hotbed of the insurgency. "We want to be there for the people that still need our help," she said. At the entrance to the ICRC headquarters in Geneva, a table was set up with a photo of Liman, along with a white orchid plant, a burning candle and a register asking staff to write their condolences for her family, Reuters reports. ISWA split from Boko Haram in 2016. Its fighters have killed hundreds of soldiers in Northeastern Nigeria in the last couple of months.